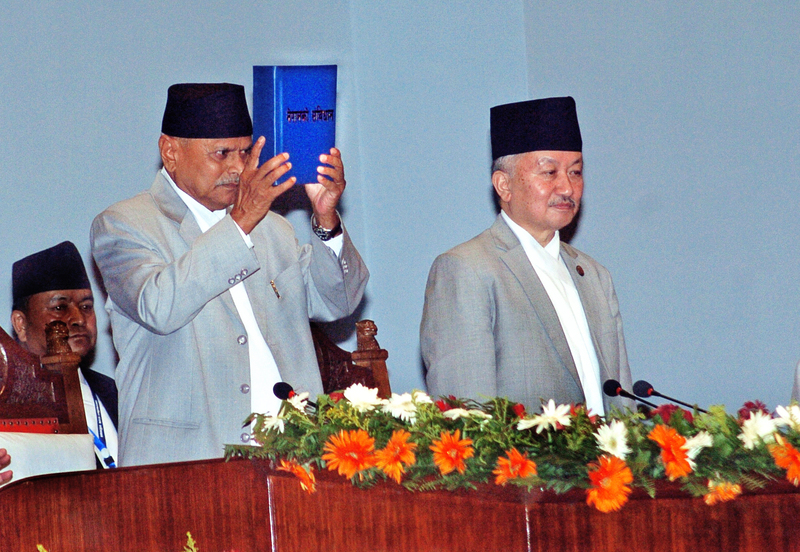 Nepal is going through a turbulence amidst the constitution making process. The second constitution assembly which came into being after 2013 elections, passed a new constitution in September 2015. According to the constitution Nepal will be a Secular, Democratic and Federal Republic with proportional representation voting. Since the Madhesis representation including Tharus which constitutes around 40% of the total population is very less in the constituent assembly, these people or the Tarai people failed to bargain all their rights in the present constitution. This has led to a massive protest and economic blockade by the Madhesis and Tharus, dividing the country into Plain and Hill people. Some of the districts which are Madhesis dominated districts are clubbed with Hill districts which Madhesis does not like and want to change. One more issue is Citizenship issue which is indiscriminating in nature for Madhesis and Tharus people. Because of the deep division, the majority of hill people believe that India is behind the Madhesi's protest, resulting in the deteriorating India-Nepal relations. There is a need of inclusive politics in Nepal to mitigate the problem by bringing all the stakeholders together rather than dividing the society.